On Friday the 18th of July, Unite will be picketing SkyCity Casino urging them not to outsource the Cleaning Services department. This proposal will affect almost 100 workers, some with more than 10 years loyal service at the casino. Unite workers and supporters will be rallying from 1-3pm outside the main casino entrance in opposition to the proposal. Outsourcing leads to reduced job security and uncertainty and the cleaners have strongly expressed their desire to remain directly employed by SkyCity. SkyCity was given the International Convention Centre approval on the premise that it was a job creator. It has now shown how happy it is to reduce its workforce and we believe most of the 800 supposed jobs will be part time or casual and wonder how many more jobs SkyCity could shred before it is even opened. 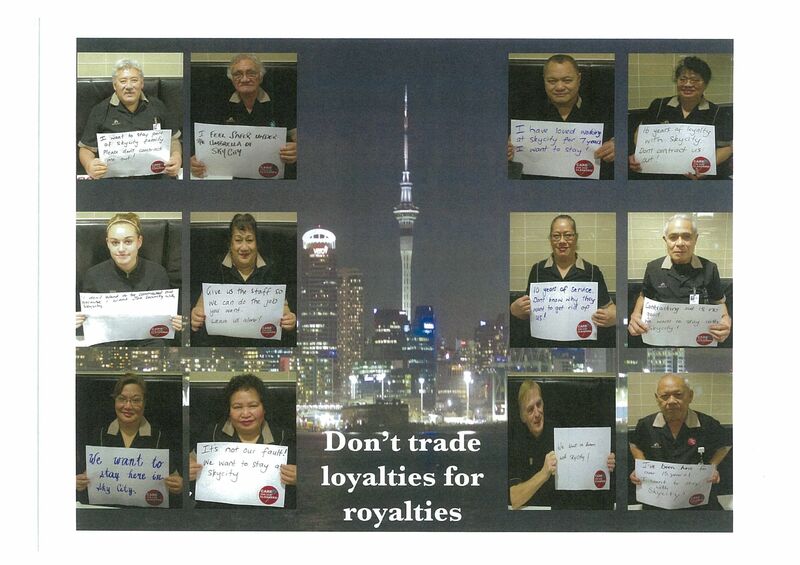 Please come and show your support for these vulnerable workers as we ask SkyCity to do the right thing and keep their jobs. We deserve fair redundancy pay. 330pm, 666 Great South Road, Penrose. The pizza hut callcentre has been in existence for about 20 years in various forms. I started with the callcentre 12 years ago, soon after it re-located from the original corporate office to an office suite in mid-town, central auckland. Originally, we processed all pizza hut and KFC phone orders. Later, the KFC delivery service was discontinued. 9 1/2 years later, after extensive downsizing due to increasing automation of the pizza hut ordering process, it was annouced that we were getting restructured and re-located to the new head office, in penrose. Most of the remaining staff were laid off. One woman, who had been with the callcentre since the start and was unable to relocate due to her failing health, lost her job and was forced into retirement. She got nothing from the company aside from the legally mandated residual leave entitlement.